In February 2018, Anglia Ruskin University (ARU) partnered with Cambridge Sustainable Food to promote a food waste campaign across the university: ‘Food Waste: Sort It Out!’ The campaign aimed to reduce food waste and improve recycling, keeping food waste out of landfill and reducing greenhouse gas emissions. 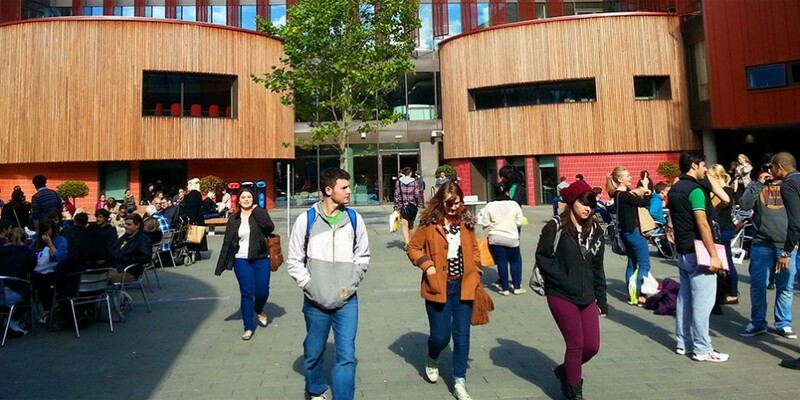 ARU is already making great progress on sustainable catering, providing vegetarian and vegan menu options and getting creative with leftovers to minimise food waste. All disposables are plant-based instead of plastic; staff and students receive a 15p discount on hot drinks if they bring their own mug, ARU-branded Keep-Cups are on sale and all food waste and plant-based packaging can be recycled. ‘Food Waste: Sort It Out!’ encouraged staff and students to consider ways to reduce food waste associated with food spoilage, preparation and plate waste. Attention was also drawn to the food waste bins and how to separate different types of waste correctly to maximise recycling. By separating and weighing the food waste from catering, the chefs were able to recognise that preparation waste was the area requiring most attention. 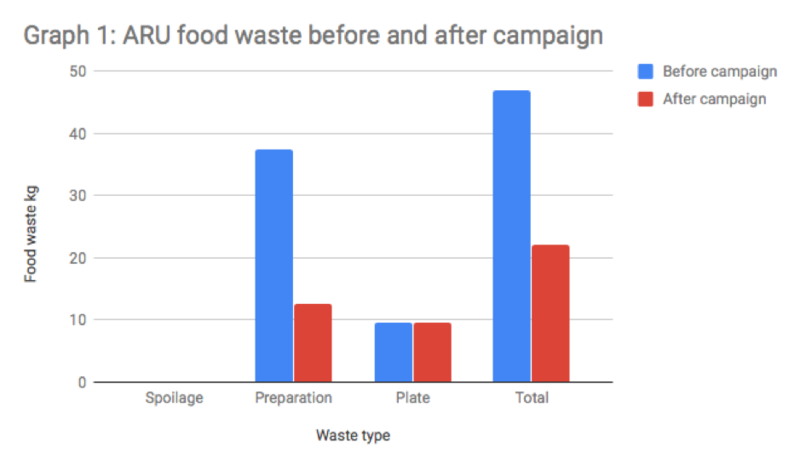 Before the campaign, there was 37kg of food waste from food preparation, 9.5kg of plate waste and no food spoilage waste over a three-day period. As a result, Terry Hope (Head of Catering) and David Haw (Chef Manager) challenged their team to examine and rethink waste from food preparation. Simple changes like minimising waste from veg prep, using offcuts for stews and soups and choosing pre-prepared vegetables enabled the team to reduce food preparation waste by 66%, saving 25kg of food from being wasted! Recycling of food waste also improved significantly, through staff and students learning how to separate food and other wastes correctly. ARU are continuing this great work through challenging chefs, staff and students to reduce and recycle even more food waste. They are sharing their success and developing new initiatives, as well as encouraging a dialogue both internally and with other universities to share ideas and best practice.